BUCYRUS — Crawford County Prosecutor Matthew Crall has announced an upcoming training program to assist salon professionals in recognizing the signs of domestic violence and abuse among their customers and co-workers. The program will also give them ideas about how to safely and confidentially refer possible victims of violence and abuse to local resources for help. The Cut It Out training program is being held in cooperation with the Ohio Attorney General’s Office on March 14, 2017. It will take place from 10 a.m.-12:30 p.m. at the Ohio Jobs and Family Services conference room, 225 E. Mary St. in Bucyrus. There is no cost to salon professionals to attend the training. 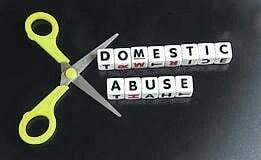 Most victims of domestic violence and abuse never report the incidents to police. Still, they often talk with someone that they know and trust for support. The personal relationship clients have with their salon professional is usually built over a long period of time, which makes them the perfect person in which to reveal the abuse. Salon professional also are able to notice changes in their clients — both physically and emotionally — since they see them on a regular basis. The salon can also feel like a safe haven to the victim of violence and abuse because it is predominantly only females who are present, and may be the only place that the abuser does not go with the victim. With proper training on how to recognize the signs of abuse and safely refer victims to help, salon professionals can become invaluable and influential community partners in the fight against domestic violence and abuse. All salon professionals are invited to take part in this training program. Continuing education credits will also be offered through the Ohio Board of Cosmetology. Although the training is free, anyone interested in attending should send an RSVP to Jim Scott at 419-563-1821 or through email at crawfordvictims@crawford-co.org. Space is limited.